Meet at the top of the stairs across from Mountain Lake Park Playground. 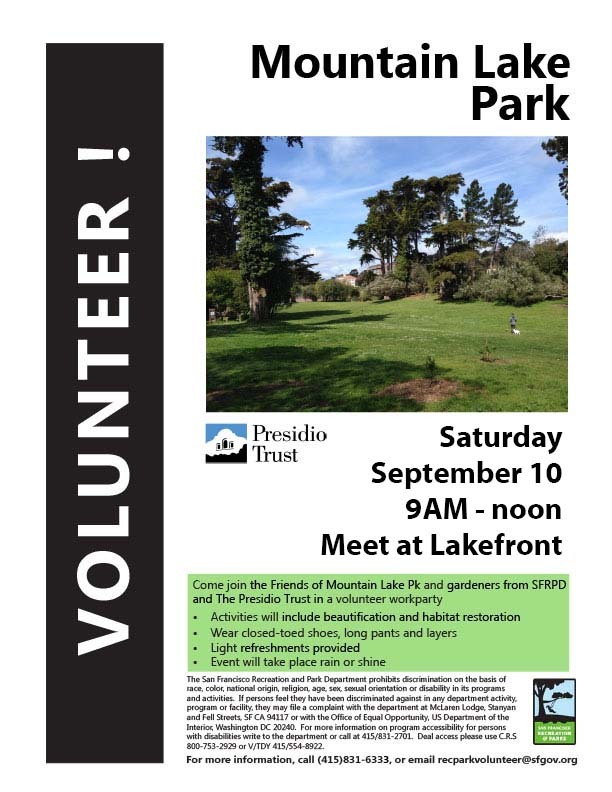 Please join Presidio Trust staff and residents in a short walk along Mountain Lake’s south shore. Learn about the lake’s history and relationship with the Richmond neighborhood. Venture into East Arm and hear about our efforts to restore wildlife habitat. Discover what you can do to show your love for Mountain Lake! No RSVP required. Children welcome. No dogs, please. Please join us this Friday for our monthly Happy Hour. There will be friends, dogs and refreshments to enjoy. Come out next Friday and enjoy refreshments with your neighbors. 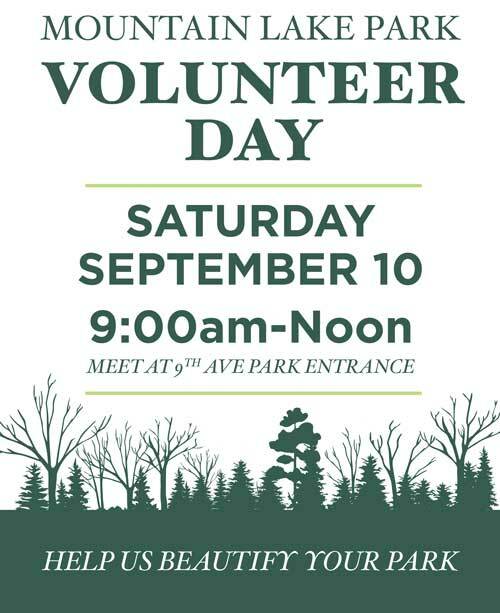 We’ll be discussing upcoming volunteering opportunities and fundraising for the park dog poop bags. Hope to see lots of neighbors and dogs! Refreshments will be served. Join San Francisco Recreation and Parks and community partners to celebrate the grand re-​opening of this beloved community playground. A short ceremony will be followed by a nature walk near the lake and refreshments from Angelina’s Cafe! Bring the kids and be among the first to play on the new equipment! 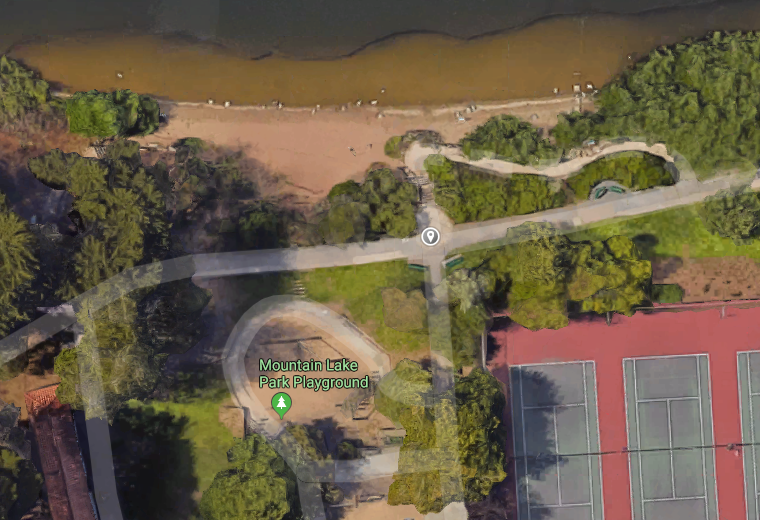 This $3 million dollar project was funded by the 2012 Clean & Safe Neighborhood Parks Bond, with support from the Friends of Mountain Lake Park Playground and the Presidio Trust. 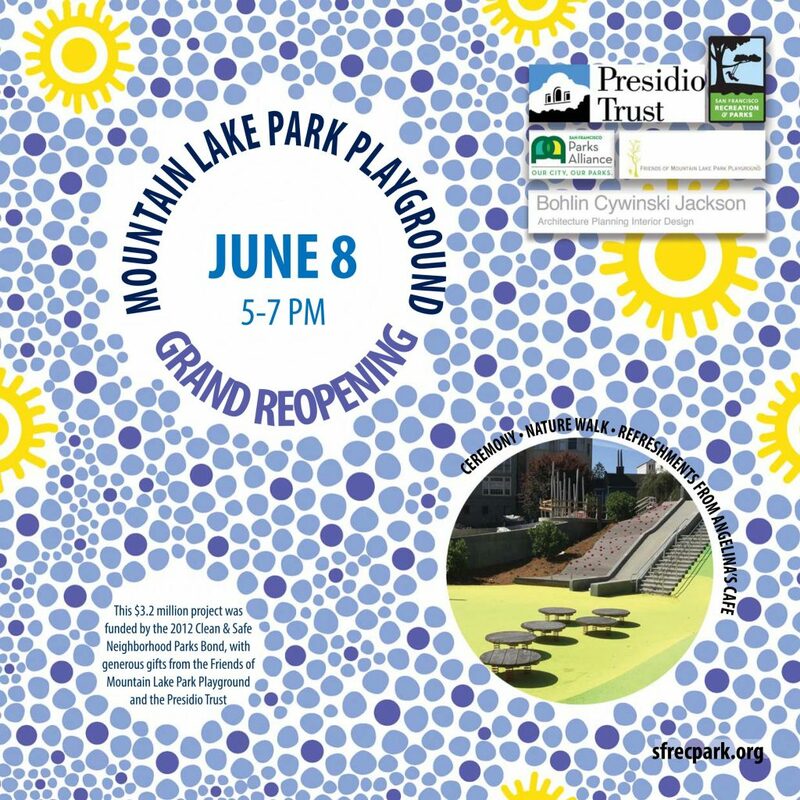 Come join the Friends of Mountain Lake Park and staff from Rec and Park and the Presidio Trust for a volunteer work party. 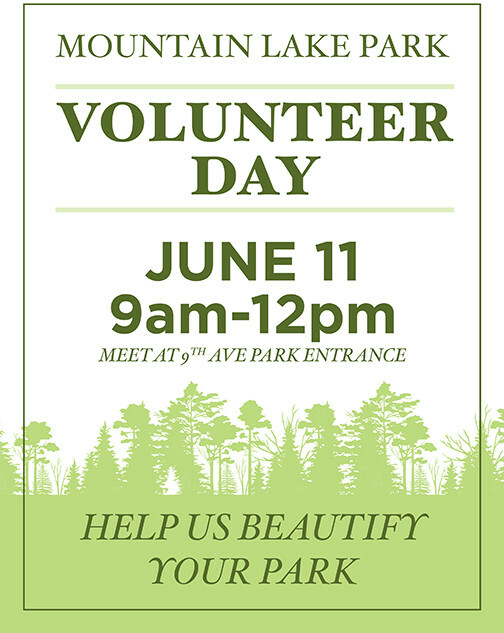 Come join the Friends of Mountain Lake Park and staff from San Francisco Rec and Park for a volunteer work party.